Although Autosomal DNA is beginning to become better known as more and more people test their DNA, Y-DNA and mitochondrial DNA (mtDNA) probably still dominate the popular imagination. The reason is because of Adam and Eve. No, I don’t mean the Biblical Adam and Eve, but the genetic ones: Y-Chromosome Adam and Mitochondrial Eve. These terms were coined to refer to the Most Recent Common Ancestor (MRCA) in both the patrilineal and matrilineal lines. Geneticists are able to track backward in time to find when the earliest patrilineal ancestor of all humans today lived, approximately, and the same with the earliest matrilineal ancestor. 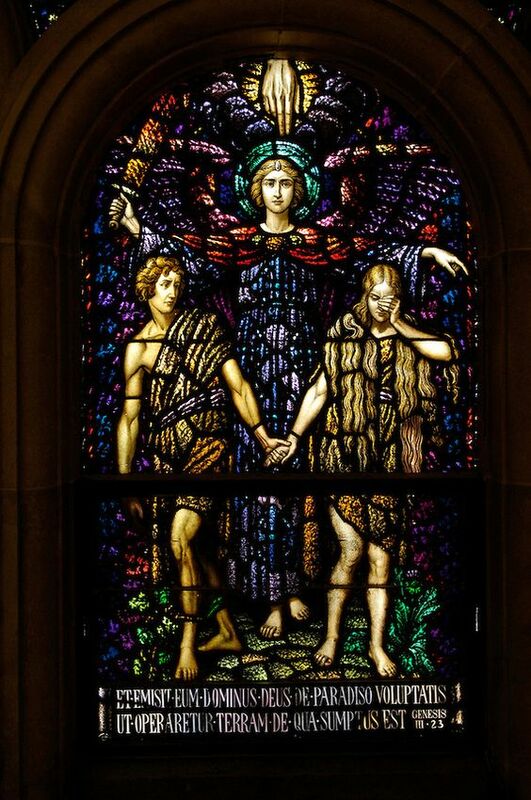 Those two individuals were given the nicknames Y-Chromosome Adam and Mitochondrial Eve by the news media. It is based on the idea that if you go back far enough in time, every human being on the planet must be descended from one man in the Y-DNA line and one woman in the mtDNA line. To put it another way, if each of us tracked our father-to-father-to-father line back far enough, and the same with our mother-to-mother-to-mother line, all humans will eventually converge on the one man and the one woman who is the father, and mother, of us all. 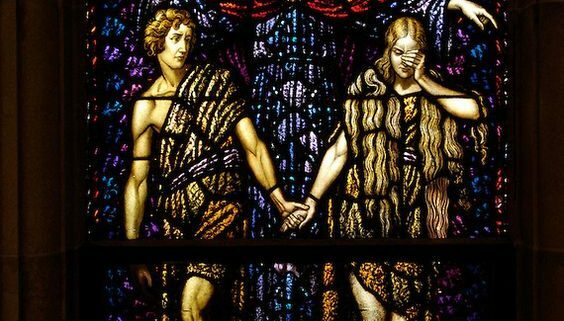 The genetic Adam and Eve, unlike the Biblical ones, did not live at the same time or in the same place, however. How long ago these two individuals lived remains a hot area of research. One prominent 2013 study estimated that Y-Chromosome Adam lived between 120,000 and 156,000 years ago and Mitochondrial Eve between 99,000 and 148,000 years ago.1)G. David Poznik, Brenna M. Henn, et. al., “Sequencing Y Chromosomes Resolves Discrepancy in Time to Common Ancestor of Males Versus Females,” Science 341, no. 6145 (2 August 2013), 562-565. Other studies have placed Mitochondrial Eve closer to 200,000 years ago, so estimates vary substantially from study to study, based on molecular clock analysis. The original study by Allan Wilson’s team at UC Berkeley in 1987 on Mitochondrial Eve gave a range of 140,000 to 200,000 years ago.2)Rebecca L. Cann, Mark Stoneking, Allan C. Wilson, “Mitochondrial DNA and Human Evolution,” Nature 325 (1 January 1987): 31-36. How are scientists able to do this? A fundamental difference between mtDNA and Y-DNA, on the one hand, and Autosomal DNA and X-DNA, on the other, is whether they recombine – that is, jumble the father and mother’s DNA when the sperm and egg unite. Again, recombination occurs with Autosomal DNA and X-DNA, but not with mtDNA or Y-DNA. Y-DNA and mtDNA stay essentially unchanged for thousands and thousands of years, while Autosomal DNA and X-DNA change almost every generation. This is a critical point. Hypothetically, there is an MRCA for every branch in your family tree, but there is no method to calculate them because of the frequent genetic turnover. The only branches in your tree which can be so calculated are the patrilineal and matrilineal lines. Calculating the Y-DNA and mtDNA time estimates for Adam & Eve is made possible by mutations. Although Y-DNA and mtDNA do not experience recombination and are otherwise immutable, they do experience mutations, or variations, in the genetic code every so often. When such a variation occurs, all the succeeding generations continue to inherit the change. Each mutation which is passed on and continues to exist today is a unique marker, which DNA testing can reveal. Geneticists can, therefore, tell you which markers you have and how close you may be to another person in the world based on how many mutations you share. In addition, geneticists have developed a labelling system for these mutations, which always starts with a letter in the alphabet and is a combination of letters and numbers following. These are called haplogroups. The labelling systems on the Y side and mtDNA side are not the same and should not be confused. There are two kinds of Y-DNA mutation, and therefore, two kinds of Y-DNA test: Single Nucleotide Polymorphisms, or SNP (pronounced “snip”) tests, and Short Tandem Repeats (STR) tests. Without getting too technical, testing SNPs is useful in determining your ancient haplogroup while testing STRs is more useful in cousin matching and doing genealogical research. There are also two kinds of mtDNA test: 1) SNP tests; and 2) sequencing tests (either HVR1 & HVR2 or full sequencing). Not many testing DNA companies test mtDNA. FamilyTreeDNA is the most prominent. It conducts full mtDNA sequencing, while 23andMe conducts mtDNA SNP testing. Again, SNP testing determines ones haplogroup but does not help with cousin matching; mtDNA sequencing does both. Mutations, regardless of type, are generally consistent in how often they occur and their frequency can be averaged over time. This is how we end up with estimates of the age of Y-Chromosome Adam and Mitochondrial Eve. It is also how we have estimates of the ages of particular haplogroups. A lot of research is underway trying to accurately calculate the molecular clock for the mutation types in Y-DNA and mtDNA. Interestingly, the mutation rates are not the same: Y-DNA runs a lot faster than mtDNA (i.e., it mutates more often). Molecular clock analysis should improve dramatically in the coming years. As mankind has migrated out of Africa and around the world over time, haplogroups can be used to trace our paths geographically and chronologically. Basically, if you have the same haplogroup as someone else, it means that you share the same set (or very similar set) of mutations and you are descended from the same patrilineal or matrilineal ancestor who lived at a certain and place in the past. 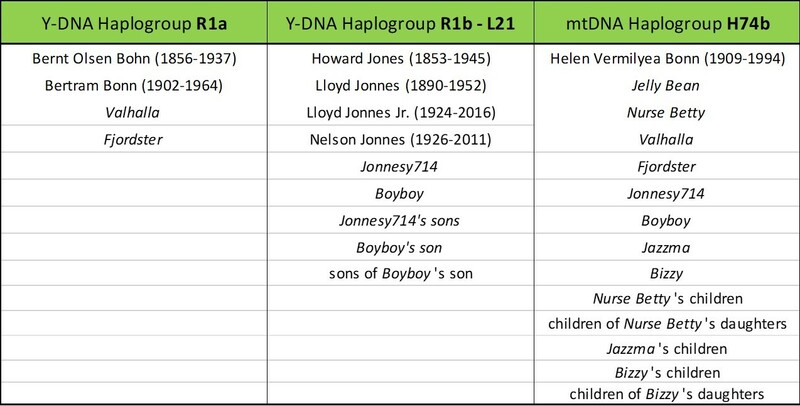 In my family tree, we know from our testing that the Bonn boys belong to Y Haplogroup R-1a and the Jonnes boys belong to Y Haplogroup R1b (L-21). On the matrilineal side, we know that everyone who is a direct offspring of Helen Vermilyea Bonn, or a direct offspring of a daughter of Helen Bonn, or of a daughter of a daughter of Helen Bonn belongs to mtDNA Haplogroup H7b4. Here’s a table that lists the individuals involved. For privacy reasons, I’m using nicknames to refer to living people. In 2001, Bryan Sykes of Oxford University published a book called The Seven Daughters of Eve, which became popular and helped to promote DNA testing. The book gave creative names to each of the 7 major mtDNA haplogroups in Europe. Everyone in our family with the H7b4 result belongs to the Helena clan mother. 1. ↑ G. David Poznik, Brenna M. Henn, et. al., “Sequencing Y Chromosomes Resolves Discrepancy in Time to Common Ancestor of Males Versus Females,” Science 341, no. 6145 (2 August 2013), 562-565. 2. ↑ Rebecca L. Cann, Mark Stoneking, Allan C. Wilson, “Mitochondrial DNA and Human Evolution,” Nature 325 (1 January 1987): 31-36.